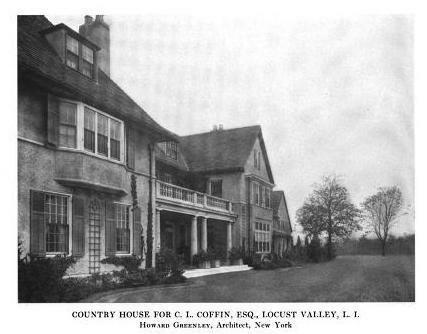 'Portledge', the Charles Albert Coffin estate designed by Howard Greenley c. 1910 in Matinecock. Click HERE and HERE for more on 'Portledge'. Click HERE to see the residence on bing. Photo from the Annual Exhibition of the Architectural League of New York, 1913. Interesting that the stables (to the north) were given a MUCH more sympathetic addition than the main house. Poor main house. never liked that hose . nor the school it became. oh well. Anyone walking about Chinatowns in America will observe statues of a stout fellow carrying a linen sack.